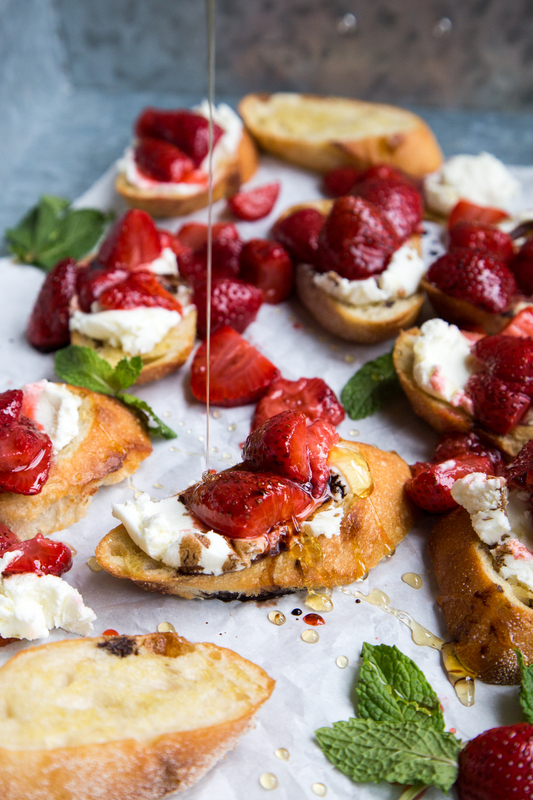 Fresh and fruity, this Honey Roasted Strawberry Bruschetta with Honeyed Goat Cheese is a lovely accompaniment to your summer soiree. 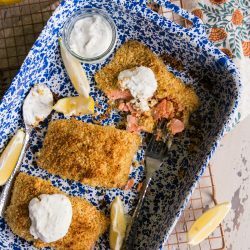 Pair it with a light white wine and enjoy in the summer sun! 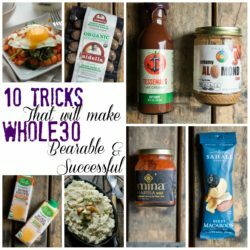 It’s also a really good thing he doesn’t read the blog, because I can spill the beans on my last minute impulse purchases and he is usually none the wiser, until we get the credit card statements. This weekend also marks one year in our home. It was hard to believe that last year I was pregnant with Emmett, moving, trying to celebrate birthdays, and Memorial Days, and just make the most of it. This year, it feels like it is all how it is meant to be and we are celebrating by hopefully – RELAXING! This is Emmett’s first summer and while I have never really been one of those people that really pays much attention to commercials, one got to me and gave me a legit lightbulb moment. Also those mom-hormones didn’t help. Idaho tourism has an “18 Summers” campaign that got me right in the feels, urging you to one go to Idaho (which is fine by me, because I OMGLOVEIDAHO. ), and that you have 18 summers as a family to make memories. It may seem like a lot, but as every year passes, it’s a new phase, and you need to make the most of all of those memories while you can. Emmett’s first summer may be “low key”, but we are going to make the most of it together. 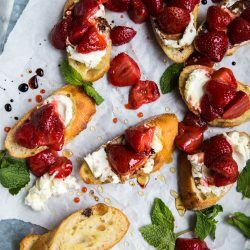 So I’m determined to spend the time outside with my little family, in our little house, with our little yard just being us, sitting on our little newly impulse purchased couch, with little impulse purchased tables and eating little bites of this honey roasted strawberry bruschetta with honeyed goat cheese. And yes, of course there will be wine. These little moments are the ones I want to remember, and I want to bring my family and friends closer together in our home. 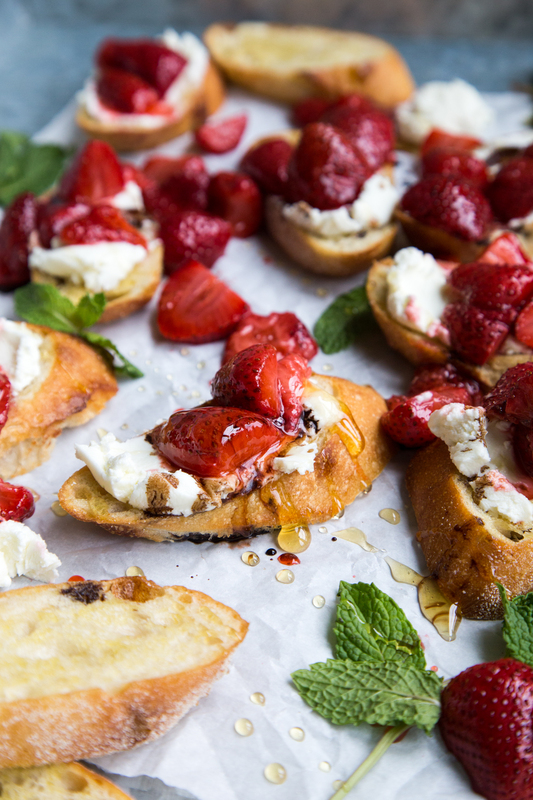 My love language is through food, so I know that at any gathering, these honey roasted strawberry bruschetta with honeyed goat cheese will be served and laughs will be had by all. 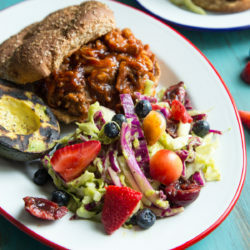 What are your summer family traditions? Do you road trip? Stay home and make your own fun? Hike? We are learning what to do, and how to vacation with a little one in tow, so any advice, ideas and support is going to be so helpful! I have dreams of us loading up a car like the damn Clampetts to go anywhere so advice on overnight road trips with babe is WELCOMED! ha! 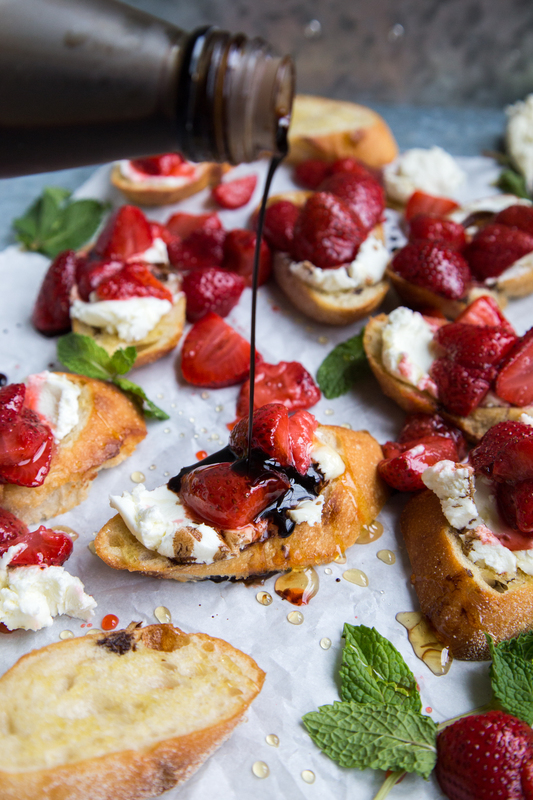 Place the strawberries on a foil lined baking sheet, and drizzle with 1/2 of the honey (about 2 Tbsp.). Toss the strawberries to coat them in honey. 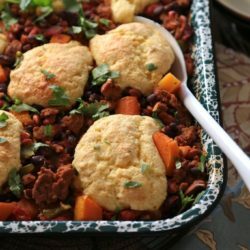 Place in the oven and bake for about 20 minutes, until the berries begin to release their juice, but are not totally mushy. Remove from the oven and allow to cool. 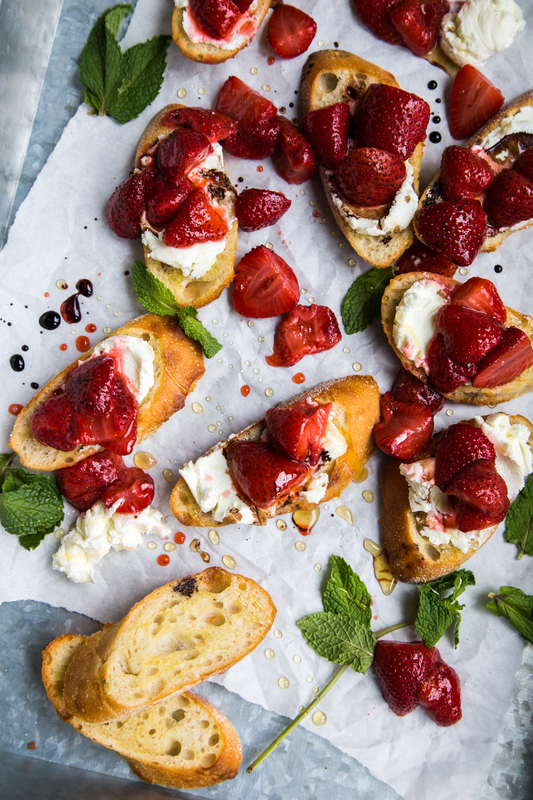 While the strawberries are roasting, line another baking sheet with foil and place the slices of baguette on top. Brush the bread on top with the olive oil. Bake for about 10 minutes, or until they turn golden brown. In a bowl, whisk together the goat cheese with the remaining honey until smooth. Spread the goat cheese on the toasted slices of baguette. Top with roasted strawberries. Drizzle with honey and balsamic vinegar right before serving. Add mint if you are feeling daring. Serve! I could eat my WEIGHT in these. Love all these flavors together! Aww thanks, lovely!! Goat cheese, carbs and fruit is the way to my heart! 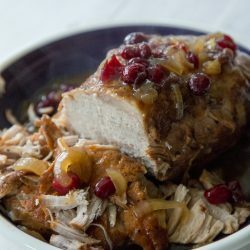 This is a fabulous recipe!! Made it exactly as stated and everyone at my party freaked out over it! Fresh and sweet, and tangy! Thanks!